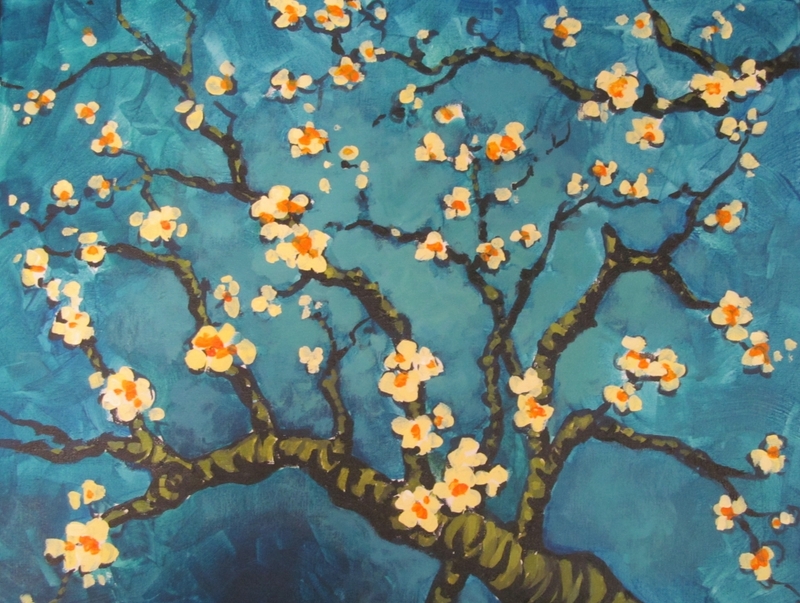 Cocktails and Canvas – Almond Blossoms – Celebrate VisArts’ 30th Anniversary! Celebrate VisArts’ 30th Anniversary with this Cocktails and Canvas class discounted at $30 for 30 years! Washington is not the only city with beautiful blossoms as illustrated by this gorgeous rendition of blooms in Southern France. Van Gogh created this lovely painting of almond blossoms to celebrate the birth of his nephew and namesake, son of his brother Theo and sister-in-law Jo. As a symbol of his nephew’s new life, Van Gogh chose an almond tree, which blooms early in southern regions, announcing the coming spring as early as February.